The median home in America has changed in a variety of ways. 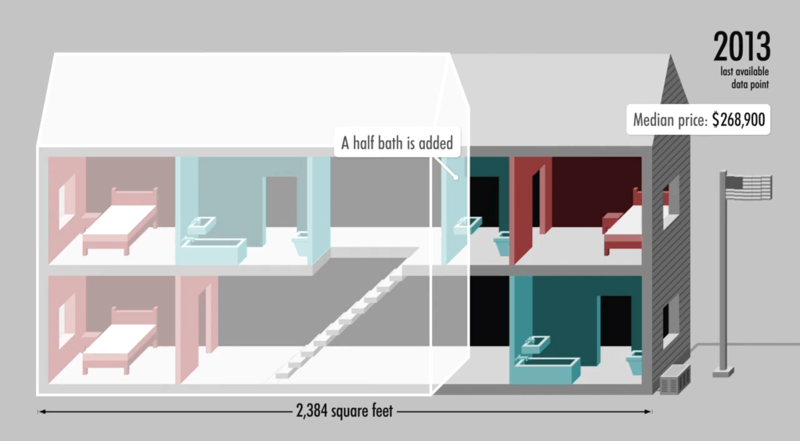 Square footage increased, number of bedrooms and bathrooms shifted, heating changed from electrical to gas, and cost went up. 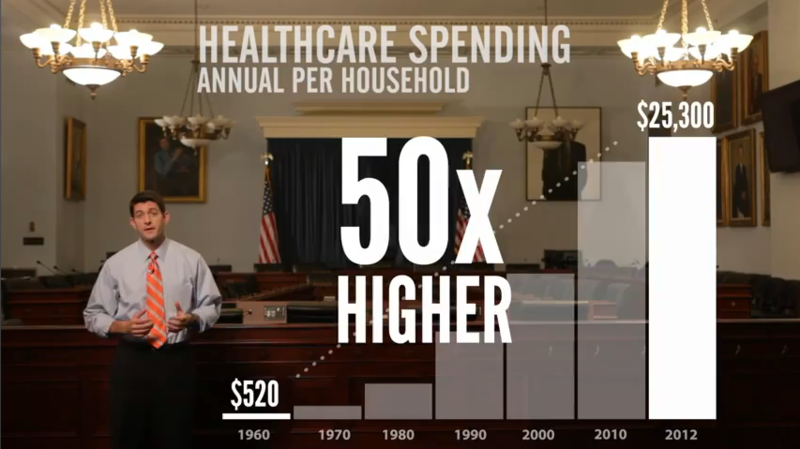 CNNMoney provides an animated graphic that shows these changes over the past four decades. An invisible, ancient source of energy surrounds us—energy that powered the first explorations of the world, and that may be a key to the future. 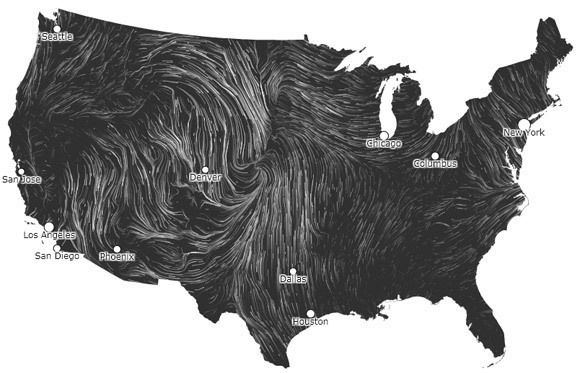 This map shows you the delicate tracery of wind flowing over the US. The New York Times’s special report on the decade’s costs and consequences, measured in thousands of lives, trillions of dollars and countless challenges to the human spirit. 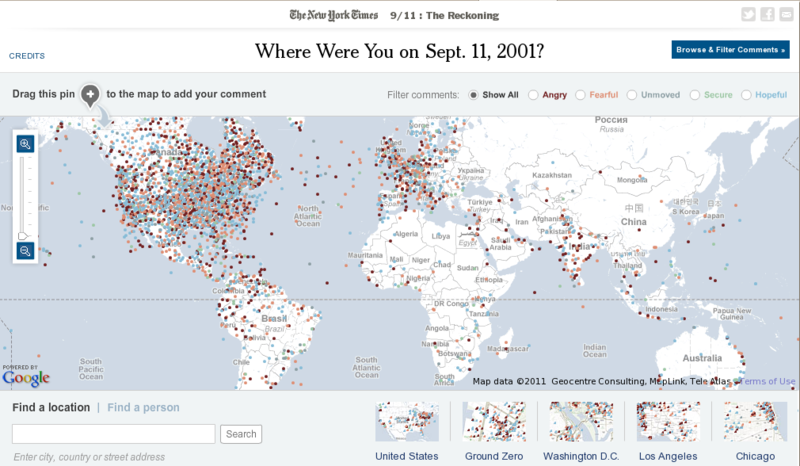 Al Qaeda spent roughly half a million dollars to destroy the World Trade Center and cripple the Pentagon. 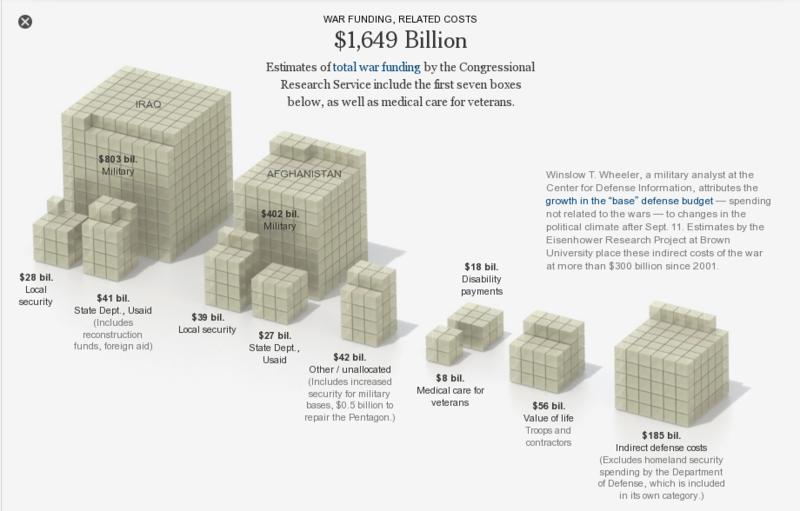 What has been the cost to the United States? 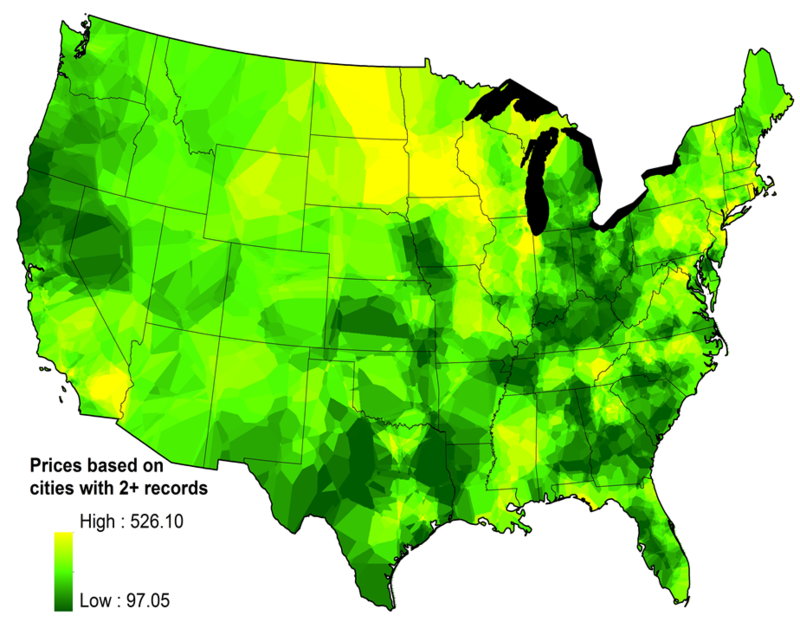 This map shows the differences in the retail price of marijuana based on user generated reports from the PriceofWeed website. 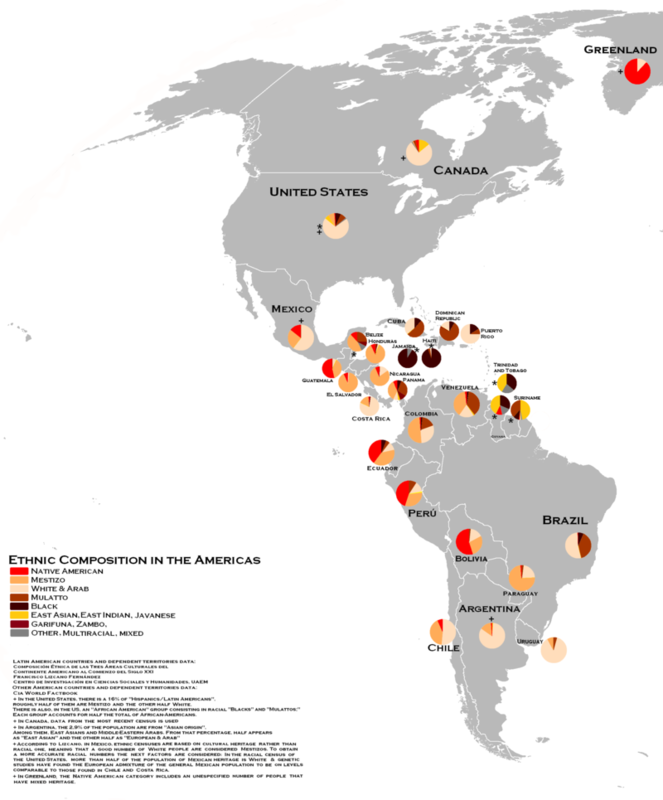 CNN.com has unveiled a new data visualization as part of its ongoing ‘Defining America’ coverage to take a unique look at the 2010 Census data and make it personal and relatable to people’s lives. 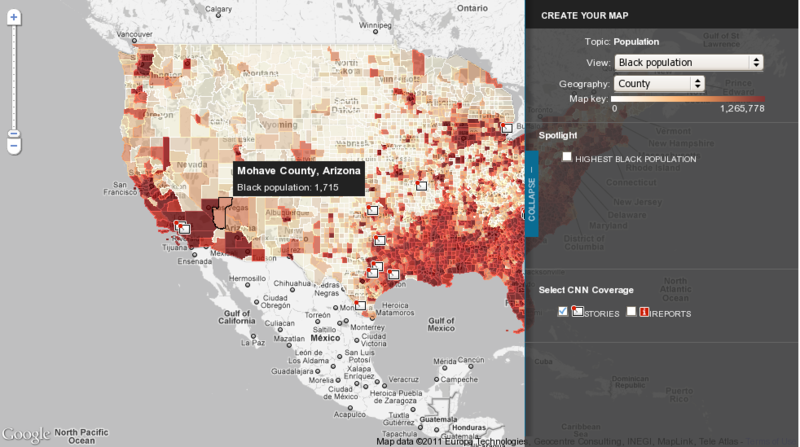 The interactive map allows a user to explore the country using raw Census data as well as delve more deeply into CNN’s coverage of the towns and people who make up America. 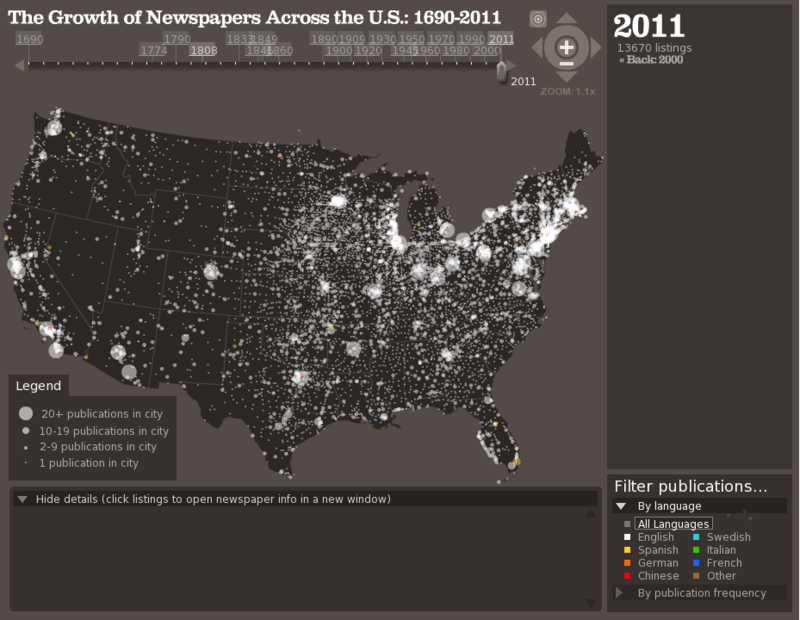 This visualization plots over 140,000 newspapers published over three centuries in the United States. The data comes from the Library of Congress' "Chronicling America" project, which maintains a regularly updated directory of newspapers. Trash Track visualizes individual traces of trash objects. Everyday objects at some point in their life cycle are declared of no more use by their owners and cross the fine line between being a proudly owned utility item and a trash object. This is Paul Ryan's second budget visualization. This video lays out the clear choice United States of America faces on Medicare: "Will Medicare become a program in which a board of bureaucrats manages its bankruptcy by denying care to seniors? Or will leaders work together to save and strengthen Medicare by empowering seniors to choose health care plans that work best for them, with less support for the wealthy and more help for the poor and the sick? House Republicans have advanced solutions to save Medicare. Instead of working with us, the leaders of the Democratic Party have opted to play politics with the health security of America's seniors." Note: If you read this via Email or Feed-reader cannot see youtube video click Permalink below to see.